Complementing Nutopia, Nutopia Matrix presents two lower profile flat loop patterns that also adhere to the stringent requirements of the Living Product Challenge Petal Certification. Urban Transit has an active, shifting pattern, while Urban Terrain offers an overall gestural pattern. 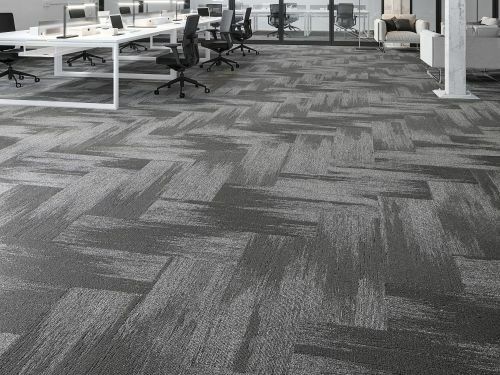 Both planks are made with a mix of heathered and solid yarns to emphasise depth of pattern. 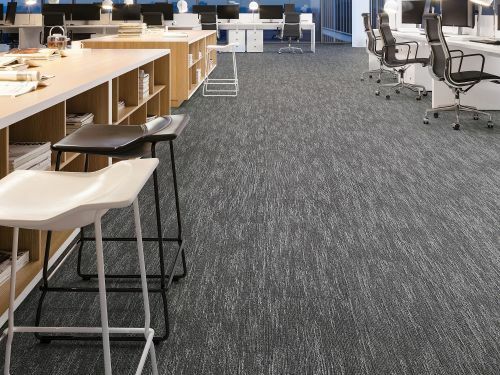 These two styles also feature Mohawk Group’s newest generation and highly sustainable, Red List Free backing, EcoFlex™ Matrix, which is dematerialised to use less raw materials and energy to minimise the product’s footprint.